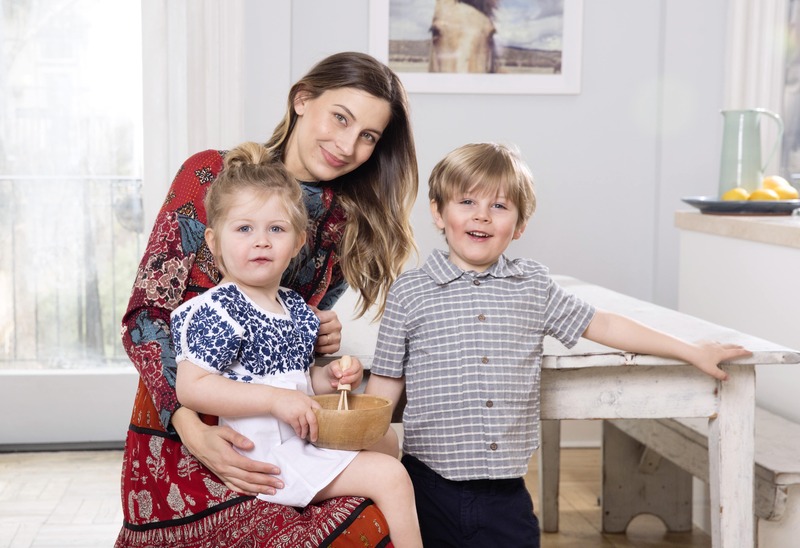 We’re so excited to feature these two badass moms, Luisana Mendoza de Roccia and Sylvana Durrett, co-founders of a new children’s online retailer- Maisonette. You know when these two former coworkers at Vogue saw a demand for sustainable and stylish luxury clothes for kids in the American market, they were going to nail it with their international power house brands that make it convenient for you to shop as if you were walking on the streets in Paris. Maisonette is a one-stop shop from kids clothing, home decor to furniture for children ages 0-12 and offers the best children’s brands from all over the world. Let’s meet these two beautiful mamas, Luisana and Sylvana as they give us the scoop on their new success with Maisonette and motherhood. 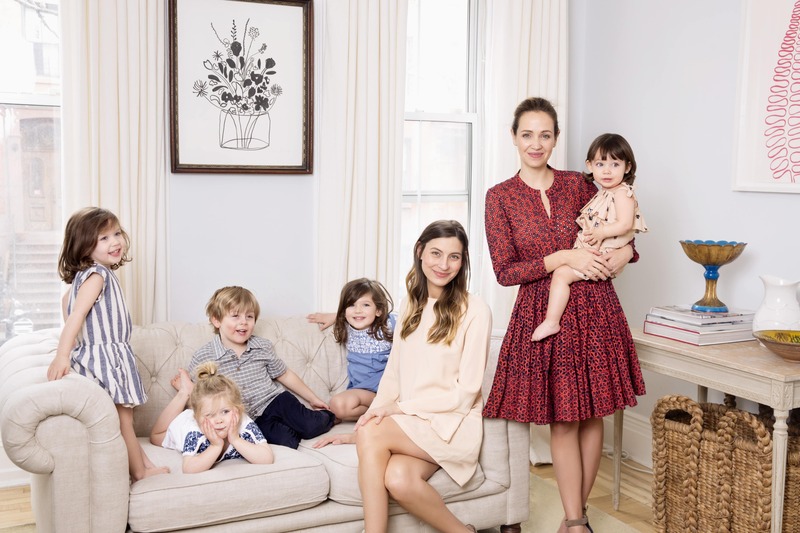 Tell us how you guys met and got the idea to start Maisonette, the new Net-a-Porter for kids. Luisana: Sylvana and I have experienced a lot of frustration while shopping for our kids. We quickly realized a hole existed in the market. There was no central destination for customers to connect with stylish and well-made childrens’ product, largely due to the fact that the children’s market is very fragmented. Sylvana: Most of what you find online today is low-quality mass produced, or expensive special occasion wear . Finding product outside of those categories is not impossible, but takes a lot of time and research. We are excited to be able to make this process much easier through Maisonette.com! You both are moms that run a new business. How do you juggle it all with having time to yourself? Luisana: I’m not sure we do! But we definitely try. There are times when it’s very hard to find the time. I try putting it into my schedule. Blocking off 30 minutes or an hour on my calendar where people in my life know I will be unavailable. People understand and can respect that. You just have to make it a priority. We love the variety of brands you carry on your site! What are the trends you are seeing right now that are hot for kids? Sylvana: We love how diverse and exciting the children’s market is right now. There are so many new and great young designers producing a variety of styles. That might be the only trend! Personal style, mixing and matching and having fun with it. Not taking it too seriously. Where is your favorite spot to vacation with the family and why? Luisana: We love Italy with the family. Aside from how beautiful it is, the great food, the variety of plans and activities you can do— Italians love kids! They are always happy to accommodate the kids, and the bigger the family, the better. Sylvana: Nantucket or St.Barth’s – warm weather is so scarce in New York so any vacation time must revolve around a beach! Nantucket is such a perfect family vacation spot and St.Barth’s is great for when my husband and I want a quick getaway! Name 3 beauty products you can’t live without. When you both have mommy time, what can we find you doing? Luisana: Coffee or drink with a friend, an exercise class or manicure/pedicure. Sylvana: Manicure/pedicure ASAP with a 20 minute foot massage – It amounts to about an hour when I can read a magazine, relax and TUNE OUT. It’s a magical time. We hear you have some exciting collabs. Tell us about them! Sylvana: We can’t spill all the beans right now but we are excited about some upcoming collaborations with our favorite brands….keep checking the site for more info! What advice/tips can you give to other moms who are struggling to find the balance with work and home life? Luisana: There is no magic formula. There will be times when you feel like you achieve that balance and other times when it’s just not going to be possible, but keep trying and when you do see an opening, take it. You try your best and that is as much as you can do. Treat yourself as you would like your kids to treat themselves and others- with kindness. Be sure to checkout them out and follow them on instagram @maisonetteworld to see the absolute latest!